Please note, this event has been rescheduled from Thursday, March 7, 2019, to Thursday, May 2, 2019. 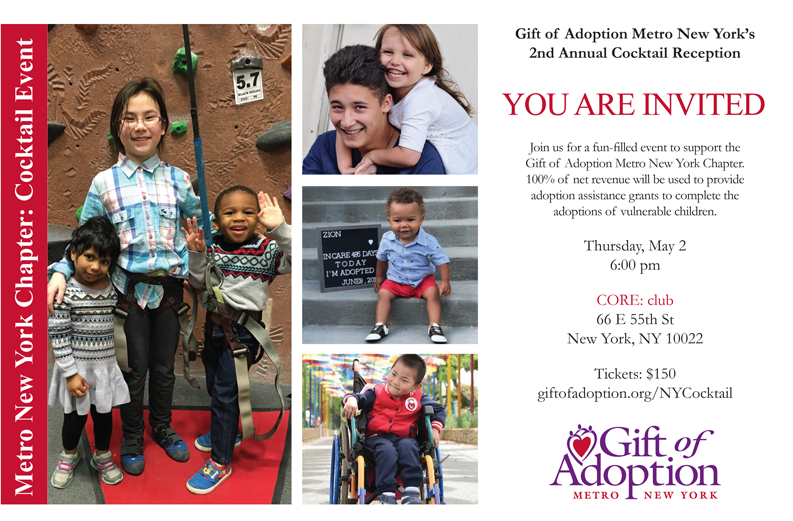 Join us for a fun-filled event to support Gift of Adoption Metro New York Chapter. 100% of net revenue will be used to provide adoption assistance grants to complete the adoptions of vulnerable children. *Individuals at these levels are recognized as Metro New York Founder’s Circle members.